Show and tell: Fibre Company and Shibui. Time for more show and tell! Earlier in the month, I shared projects made with yarns from a few of our favorite sources, Isager, Malabrigo, and CoopKnits. Of course there are plenty more yarn companies we adore, and today, I’ll highlight two more. We’ve seen an abundance of beautiful projects knit with Fibre Company and Shibui yarns over the years – here are some of the most recent. 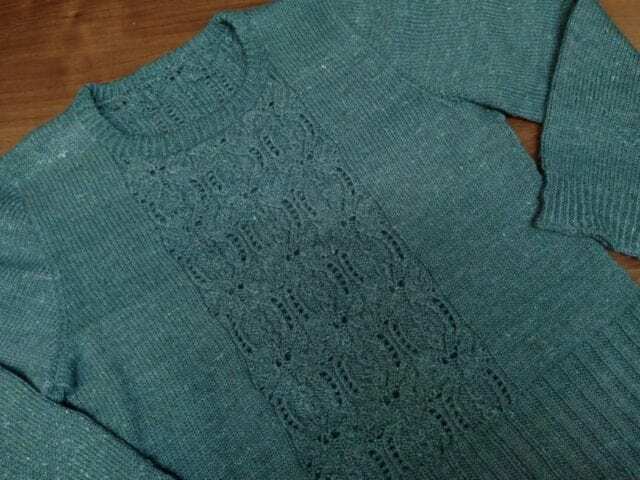 Rosi knit this exquisite “Pomegranate” pullover for her daughter using Fibre Company Acadia. This soft, tweedy yarn is attractive all on its own, but shows intricate stitch patterns beautifully, too. 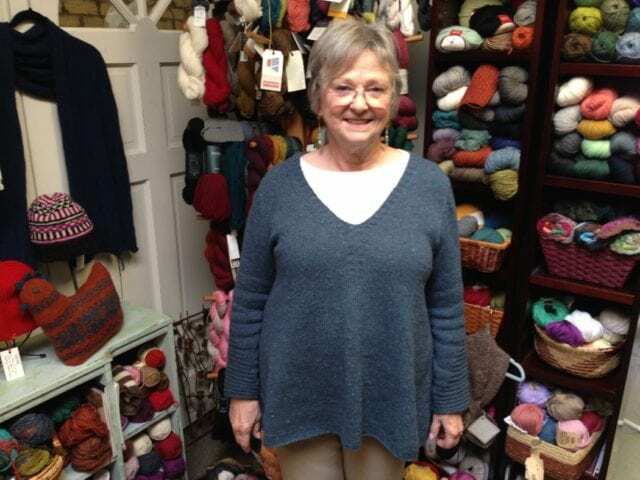 Here’s Shelley in her “Rathbone” pullover, knit with Arranmore Light, another tweedy Fibre Company yarn. Both Acadia and Arranmore Light are DK weight and well suited to sweater-making, thanks to their balance of softness and structure. Gloria wandered into the shop a few months ago, looking for inspiration, and found it in our Shibui Sample of the Month at the time, the “Comfort Zone” wrap, knit with Drift. 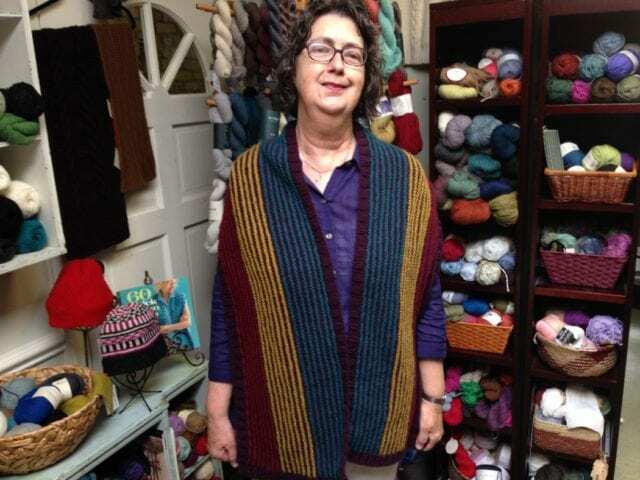 I love the jewel tones she selected for her own wrap – well done, Gloria! 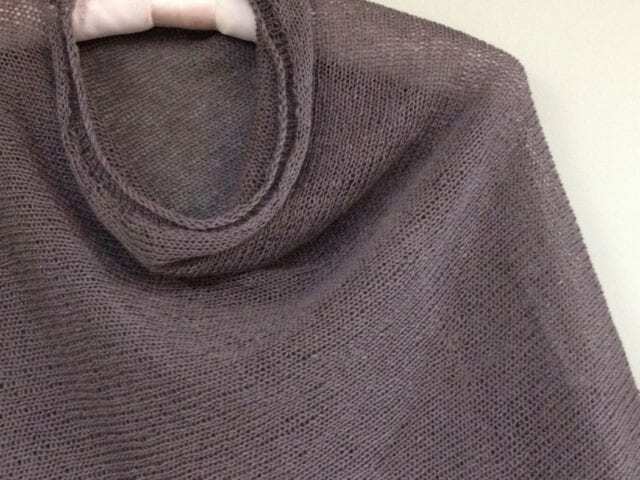 Above is Anne’s second Churchmouse “Easy Folded Poncho,” this time in Shibui Reed, a lightweight linen for summertime wear. 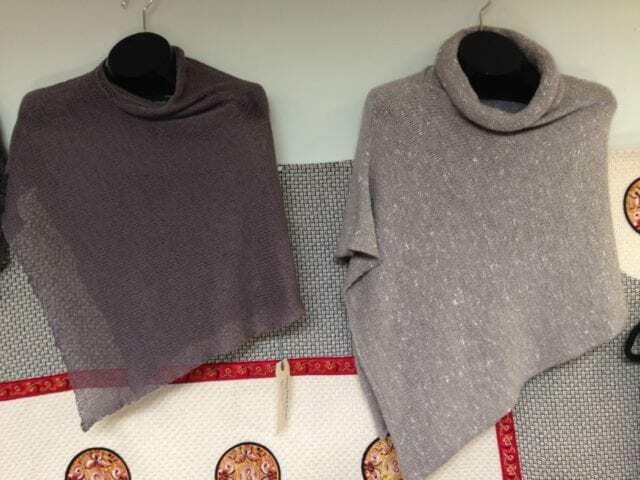 Look for Anne’s ponchos side by side here at the shop, one for spring and summer and one for fall and winter, in – what else – Fibre Company Acadia. Thanks to everyone who brings their finished projects to show us, we absolutely love seeing what you make. See you at the shop!